One of our engineers primary goals is to track down the source of your leak in the most cost effective and time efficient manner possible. This doesn’t mean that we cut corners to get the job done – just the opposite. 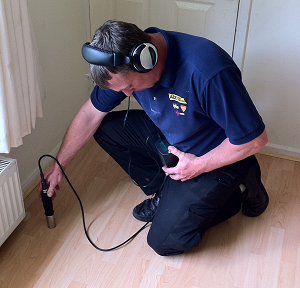 We perform an extremely thorough leak investigation but our wide range of modern detection equipment means we do this so much more efficiently than any other company. And our efficiency becomes savings for you in the form of more competitive pricing. 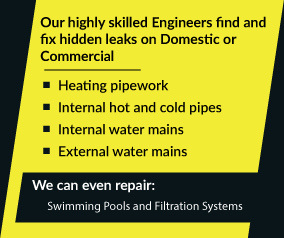 Although regardless of where you live in the UK ADI can find your leak for you. Pick up your phone now and dial 08007313843 to speak with one of our knowledgeable and helpful staff.